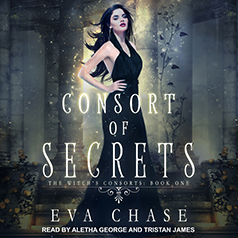 Eva Chase presents the first book in her Witch's Consorts series. Contains mature themes. Every witch knows the rules: Stick to your own kind. Never reveal your powers to outsiders. Take a consort from the witching families or kiss your magic good-bye forever.